We can cater to your every need. Do you want something vibrant? Warm tones? Soft pinks? Or do you prefer native flowers? Would you like an arrangement that is 100% lillies? Or orchids? While some flower requirements require a little notice, we can prepare something for you on the spot that we are sure you'll love to bits. We always have a selection of ready-made bouquets, arrangements and potted colour ready to be picked up or delivered at short notice. 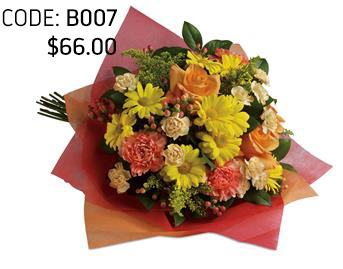 A bouquet is a group of flowers selected and arranged into a design or style with or without foliage. These flowers are usually shaped into a design and bound together and wrapped in decorative paper. A bouquet is often given to people who may or may not already have a vase or vessel in which to place them. A bouquet requires the recipient to re-cut the flower and greenery stems every second day and to top up water in their vase. Cut flowers: known as a “bunch”, simply means a selection of flowers and or greenery loosely wrapped without time being spent on arranging the bunch into a style or design. Cut flower bunches have same benefits as bouquet. You can buy more flowers and not waste money on a vase or container, suitable if the recipient already has plenty at home. You will often receive more flowers in a bouquet as they are quicker for the florist to put together, rather than an arrangement. The flower will generally last longer if they are cared for correctly. A flower arrangement is a group of flowers designed into a container, which may be displayed in; a vase, box, ceramic, basket or container. The flowers are arranged into a wet floral foam, which holds water, much like a sponge. The fresh materials in the arrangement soak up the water from the wet foam; the foam is firm and allows the designer to manipulate the fresh material in order to achieve their desired design. Flower arrangements will contain greenery and foliage as apart of the design and to hide the floristry workings. 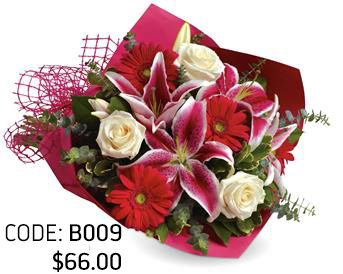 Arrangements usually cost more than simple bouquets, however it does depend on flowers used and the design chosen. 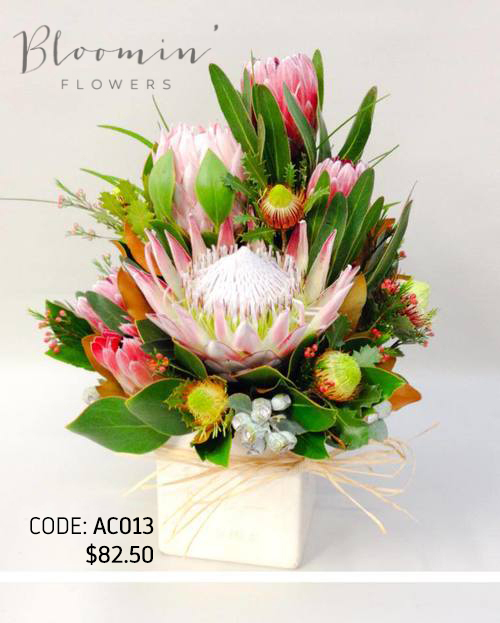 Arrangements generally take longer to create and use more floral sundries, so its to good idea to order ahead and have the order waiting for you, if you are time poor. Flower arrangements come in many different sizes, shapes and styles. Don't see one that suits you? ask us to make something up! A flower arrangement is a ready-made gift. 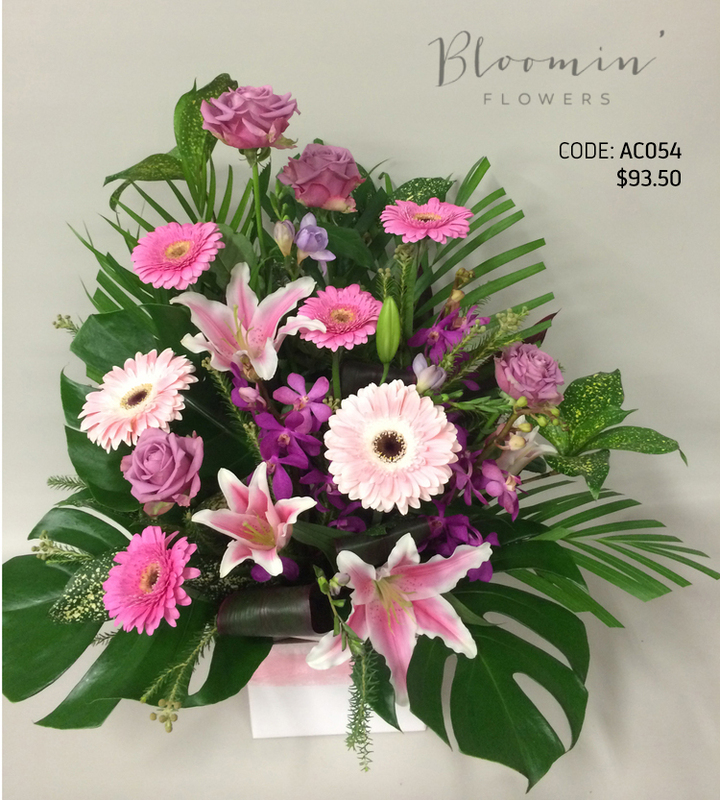 Recipient doesn't have to know how to arrange flowers as the flowers will already be arranged into a design style. Flower arrangements make great centrepieces for end tables. Great for taking to the hospital, as most hospital do not carry vases for patients. Fresh materials within the arrangement do not have to be recut, or unwrapped, containers do not need to be cleaned or the water changed, arrangements just require a top up with water regularly. Arrangements need to be topped up daily with fresh clean water, in order to keep the wet foam moist. Should be kept away from warm areas and older and wilted materials should be removed within the design to help prolong the life of the arrangement. 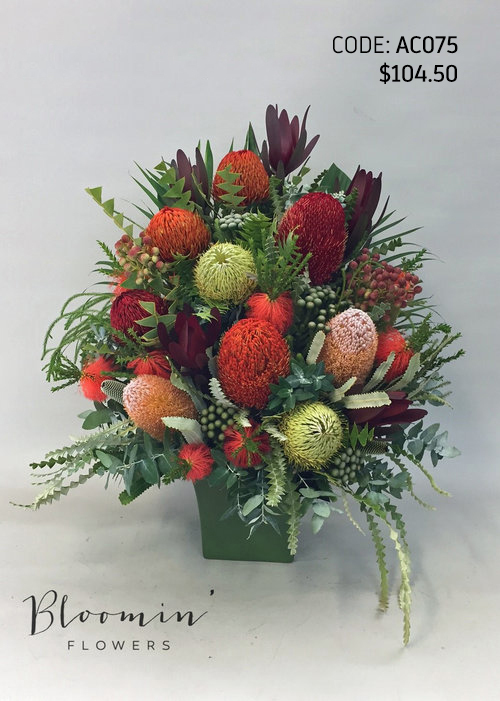 You are always welcome to come in store and select your own fresh flowers to be arranged, whether you decide on a simple bunch, a lavish bouquet or funky arrangement our helpful staff are always happy make something up for you on the spot.